Visit Hornsea East Riding of Yorkshire and the surrounding villages and stay in B&B, hotel or self catering cottage accommodation provided by BedPosts members. Hornsea is a popular holiday town with a fine sandy beach, promenades, gardens and an amusement park. Behind is the original village, with old houses and narrow streets. From one of these an unsurfaced lane leads to Hornsea Mere, Humberside's largest freshwater lake, less than a mile from the sea. It is the only remaining lake of many formed in Holderness by the melting glaciers of the Ice Age. There is a sailing club at the Hornsea end, and boat trips are organised, but a nature reserve protects the deep shrubbery and tangled reeds at the western end, where wildlife abounds. 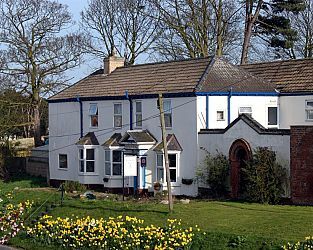 If you seek accommodation near Hornsea in East Riding of Yorkshire you have come to the website of a “club” of providers who offer affordable quality accommodation around UK in hotels, bed and breakfasts, guesthouses, inns, and restaurants plus self-catering cottages and apartments .